Whale watching right from your living room. This bright and clean unit is the perfect corner location. Ocean view 2 bed/2 bath turnkey rental unit. 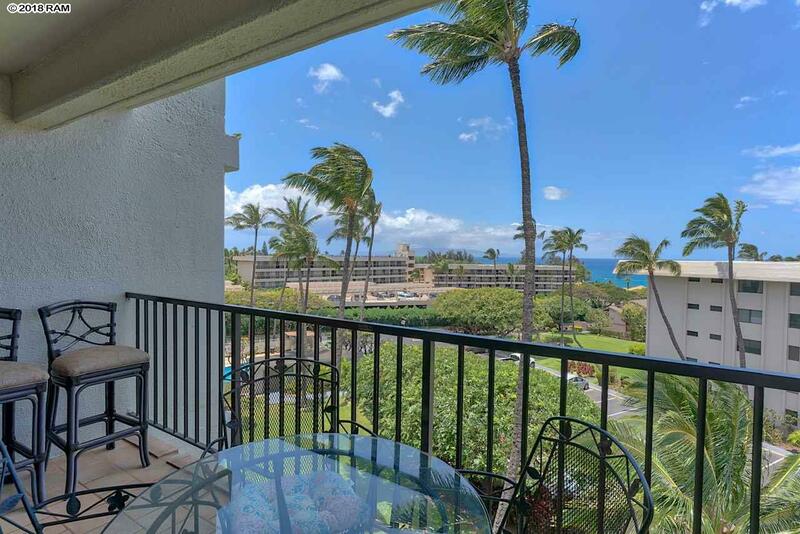 Kihei Akahi condominiums have close proximity to Kamaole II Beach and are convenient to South Kihei restaurants, shopping & night life. This 5th floor end unit in the D building has been beautifully updated. 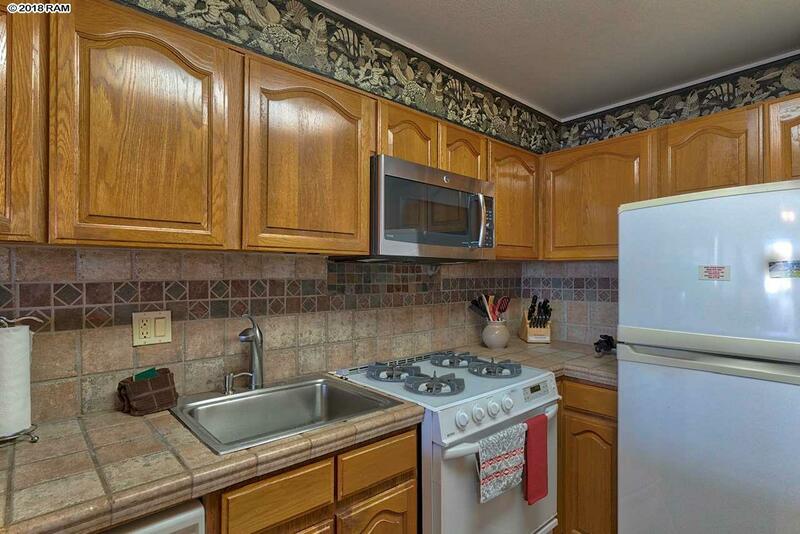 The kitchen features wood cabinets, tile counters, gas stove, pantry and unbelievable storage. The living room leads to the balcony with direct ocean views and amazing sunsets. 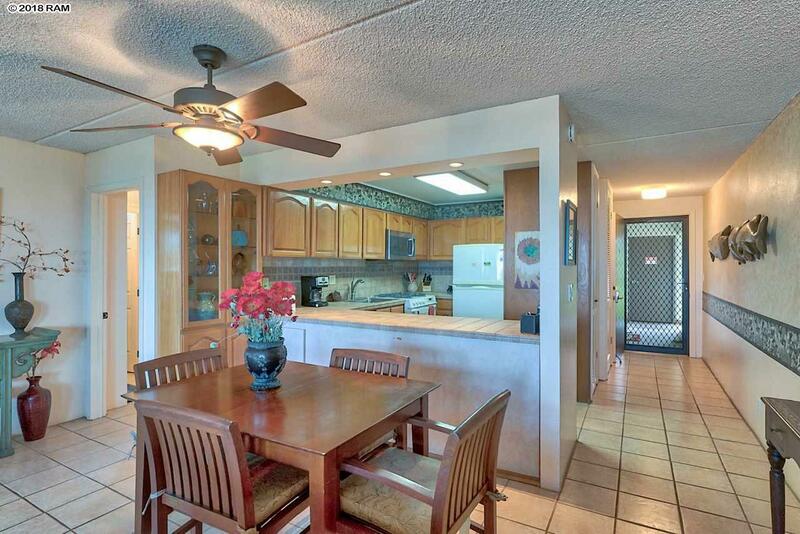 Both bedrooms have large closets ceiling fans and ocean views. You will find nice storage closets and stacked washer & dryer for your laundry needs. Enjoy the cool Trade Winds throughout the unit. There are two in ground pools and BBQ grills for your convenience. Sold furnished and ready for you to occupy or use as a vacation rental. 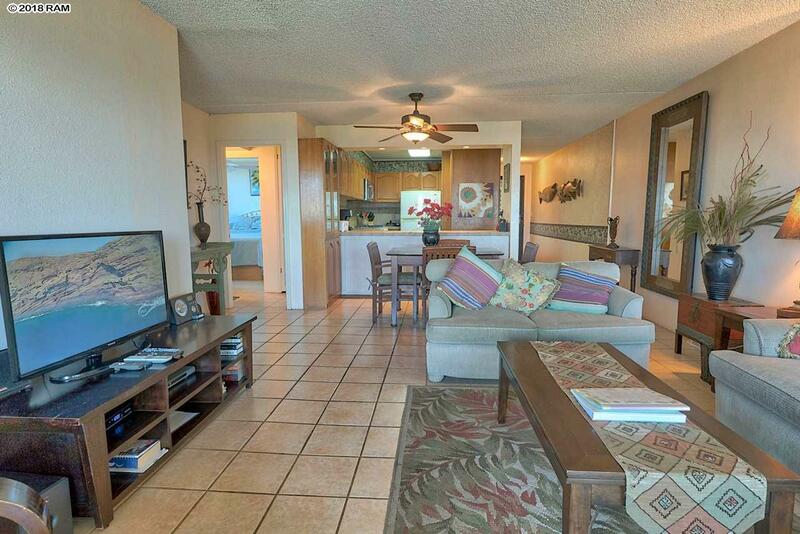 Directly across from Kamaole Beach Park, walk to the beach, pool areas, gas grills, and your designated parking spot. The building is perfectly situated to take advantage of the prevailing trade winds, offering gentle breezes year-round. Close to shopping, world class golf, restaurants, and public transportation. Listing courtesy of Maui Palms Realty Llc. Listing provided courtesy of Maui Palms Realty Llc.